The 2018 Ford Fusion Sport features all-wheel drive, which is a great addition in the Snow Belt area like Chicago. 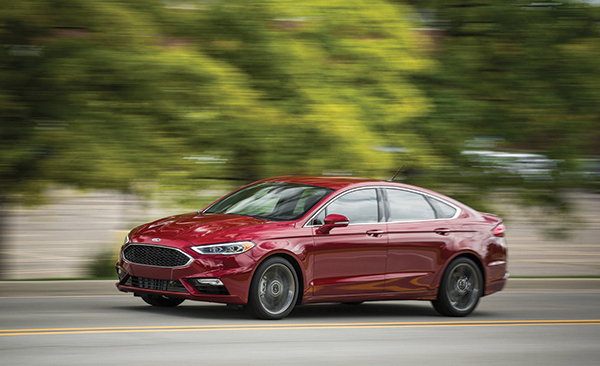 The 2018 Ford Fusion is one of the few mid-size sedans available with all-wheel drive, and features a sporty-feeling suspension and sharp steering. It has a twin-turbo 2.7-liter V-6 with 325 horsepower, which is impressive on the highway. The steering is very responsive and the braking stops in any situation without any fading. 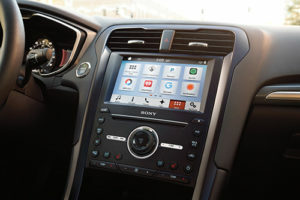 The Fusion interior features an upscale design and use of high-quality materials. There is plenty of passenger and cargo space. The easier-to-use Sync system improves the driving experience and there is a host of easy-to-use tech systems and features. 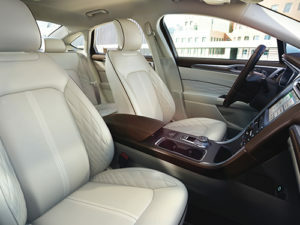 The seats are comfortable and supportive, and the center stack and controls are easily accessible. The dash is well laid out and the Fusion Sport has a unique interior. • Premium sound system (optional). • Onboard hands-free communications system. • Cooled driver seat (optional). 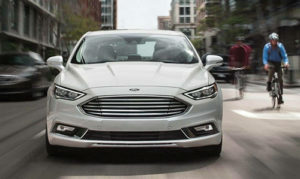 The 2018 Ford Fusion Sport’s styling has the Ford signature logo on the grill, unique fog lights, a mesh grille and charcoal-colored wheels. The Fusion is easily identifiable as it travels down the highway with its unique design cues. • Front head room: 39.2 in. • Front leg room: 44.3 in. • Front hip room: 55 in. • Front shoulder room: 57.8 in. • Rear head room: 37.8 in. • Rear hip room: 54.4 in. • Rear leg room: 38.3 in. • Rear shoulder room: 56.9 in. 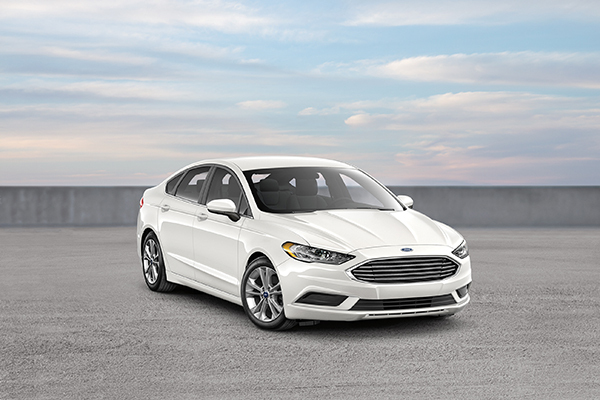 If you are looking for an all-wheel drive sporty and stylish sedan, visit your local Ford dealer for a test drive of the Ford Fusion. • Front head air bag. • Rear head air bag. • Front side air bag. • Blind spot monitor (optional). • Lane departure warning (optional).